Since Aria had so much fun playing with the Playmobil 123 range, it was only fair the boys got some sets from the Playmobil range to play with. We were sent the Coastguard Station with Lighthouse and Life Raft to review. This set is from the City Action range which is aimed at ages 4 and over. The City Action range is vast and can be bought and played with individually or as part of larger playset. This is a great set for encouraging imagination and role play at any age. 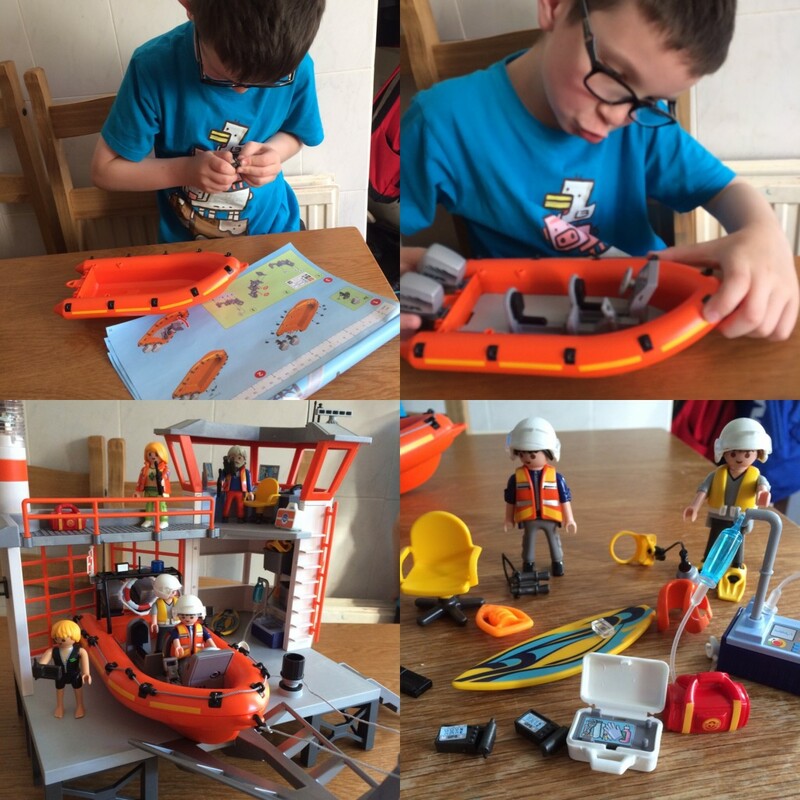 Tyler started to build the Life Raft and followed the instructions with ease. He is only 6 and built the full thing including the 4 characters within 10 minutes. What I love about Playmobil instructions, is that they are illustrations rather than the written word. Being clear and simple, allow young children to build their own items, play with them and feel a sense of accomplishment. We loved the Life Raft, it is a lot of fun, there are no little fiddly bits so it’s great for the lower age range of the scale. 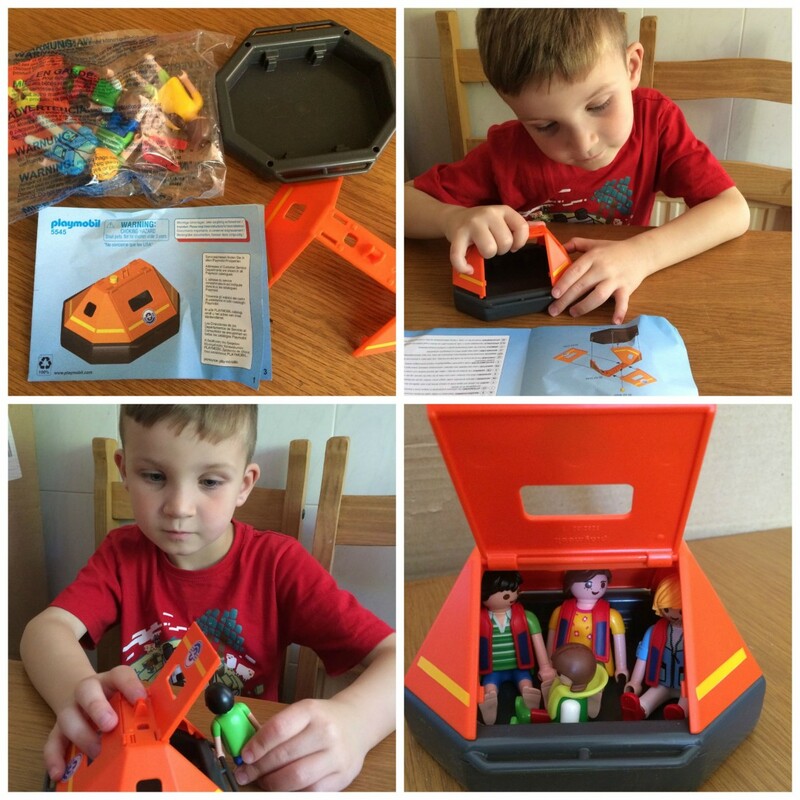 The characters are bright and colourful and fit in well to the life raft. The raft is well made and although the doors come off if pushed back too far, they don’t snap, which is very important. 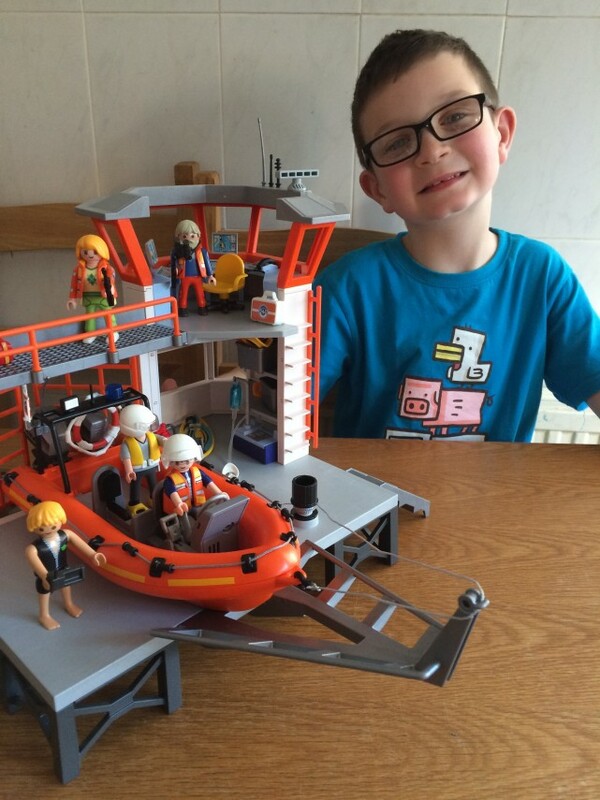 Tyler played with it for hours on it’s own, but it was a lot more fun when they added it to the Coastguard Station. 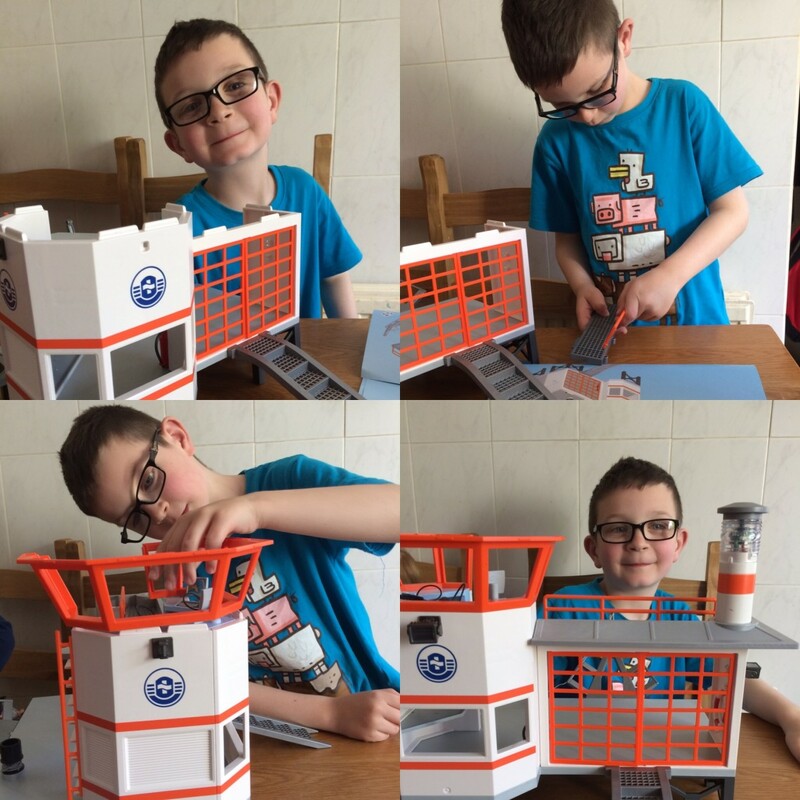 Lucas who is 8 1/2 built the Coastguard Station with Lighthouse pretty much on his own within half and hour. I did help him with finding some of the parts and clicking together a couple of parts that were a little stiff, only proving it’s well made. 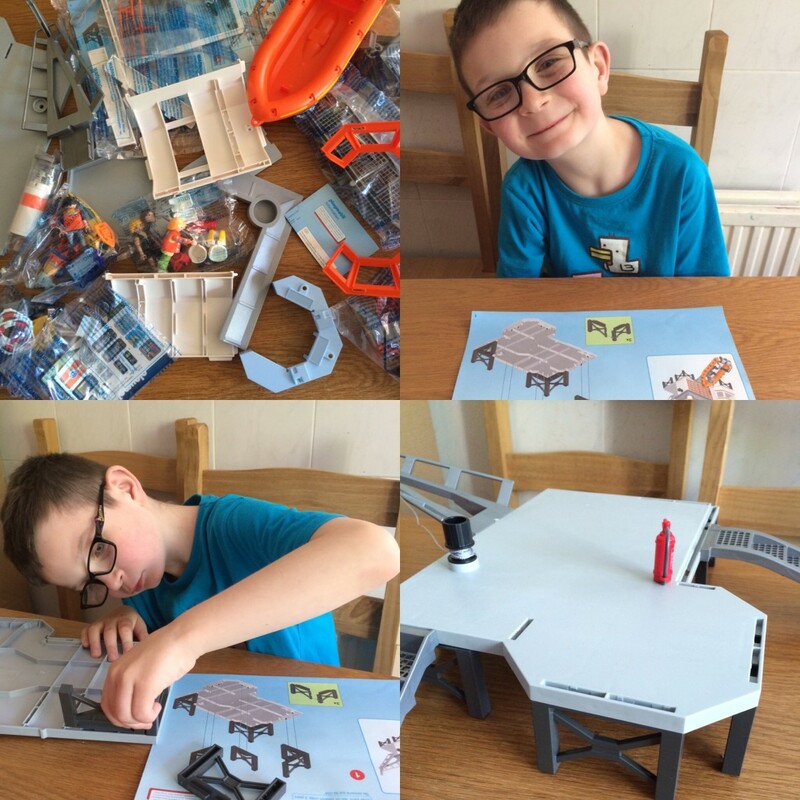 There are a lot of parts, but like other Playmobil items the clear, concise and illustrated instructions allow children to do this task on their own. There is even a ruler on the instruction sheet for you to measure the string for the boat launcher. We built the parts bit by bit and it was incredible to see how large this set it. It is definitely one of those sets that can be played with as a stand alone, but can also be played with other playmobil sets and every addition makes it possible to build a larger community. The Playmobil City Coastguard with Lighthouse I would say is for slightly older children say aged 6 plus due to having lots of little bit and launching the boat. The lighthouse requires 2 AAA batteries for the light to work which are not included. They aren’t necessary for play, but it makes it look the part and adds to the fun. The boat is a welcome addition and can float and be played with in the water. There is a Playmobil Underwater Motor (7350) which can be purchased separately to allow the boat to move independently in the water. However, if your child is like mine they will be having fun with moving it about on his own. 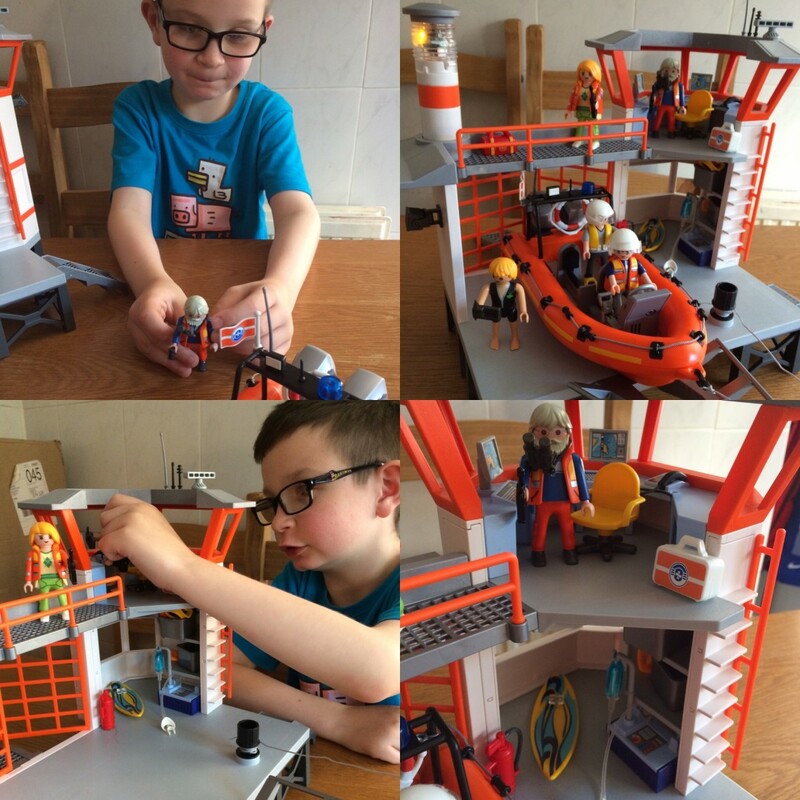 The Playmobil coast guard station comes with a working lighthouse, which flashes to warn the boats, a winch for the life boat to lower it into the pretend or actual water and wide doors through which the boat fits. The set has 5 figures in total, plenty for playing with friends or siblings with no fighting. There are also loads of fantastic accessories like walkie talkies, cases, a surfboard, medical set and so much more. All of these make this playset really come to life and fuel their imaginations. Lucas loved playing this this set and moving the boat up and down with the winch. It is perfect for emergency situations that might arise and there is even a fire extinguisher and life buoys to come into action. The figures have different pieces of equipment like flippers and oxygen tanks. 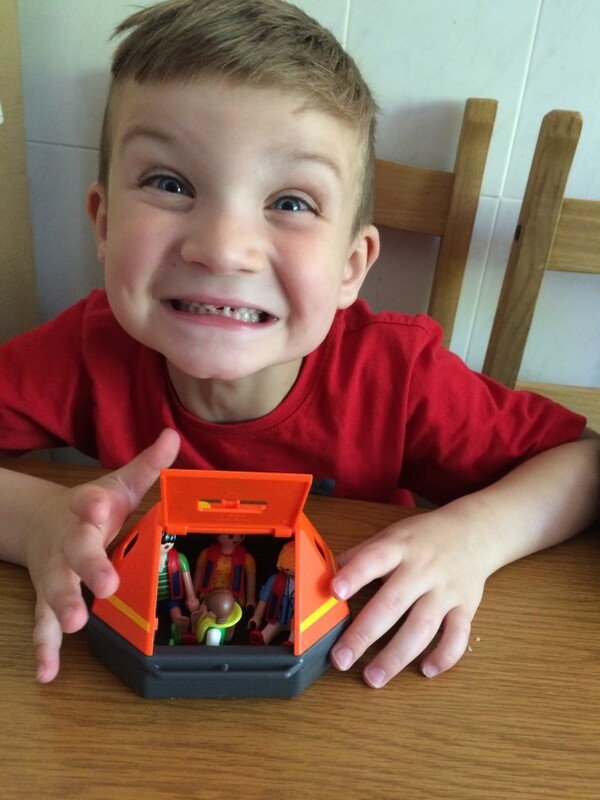 As you can see Lucas was delighted with this playset. He was chuffed to bits that he built it himself even if there were a few tricky moments. I think this makes playing with it in the end all the better. 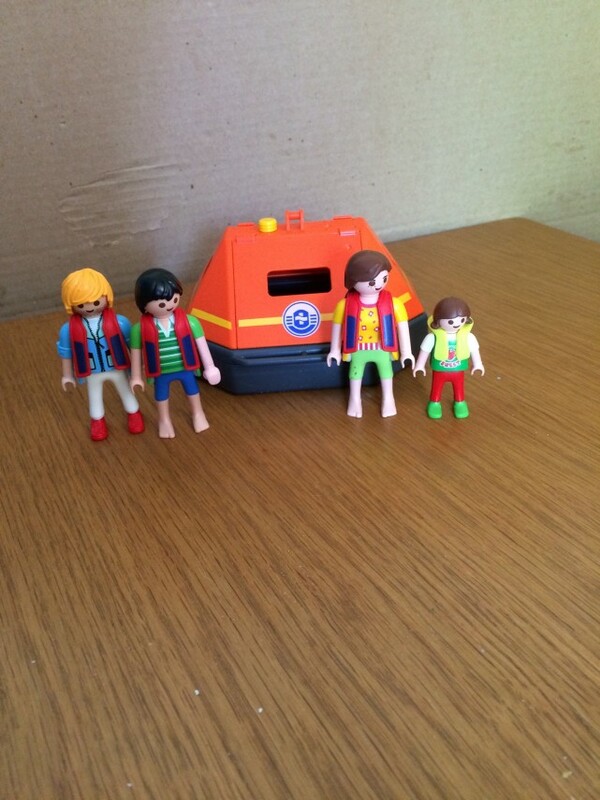 I feel that Playmobil have thought of everything with this playset and the attention to detail is incredible. 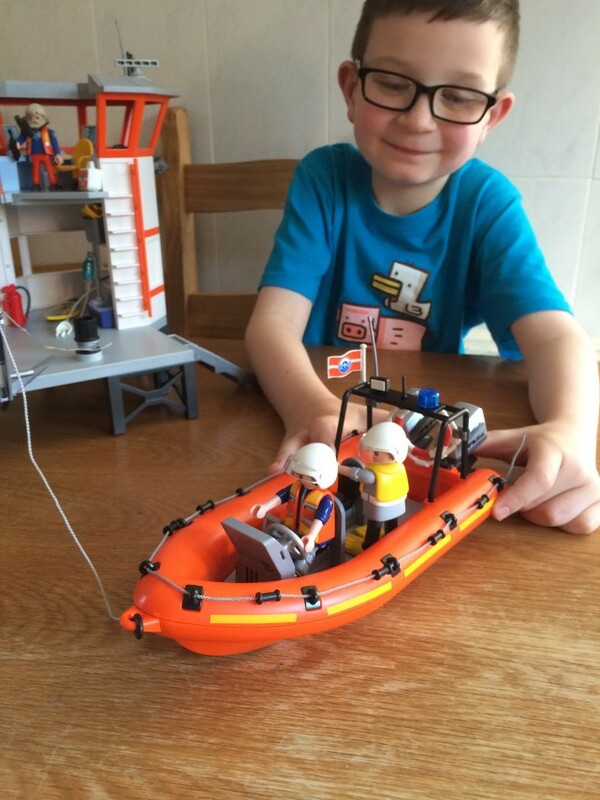 The boat has been a firm favourite with both boys and has even went to school with Tyler for show and tell. The set really fires the imagination and with so many options the possibilities are endless. 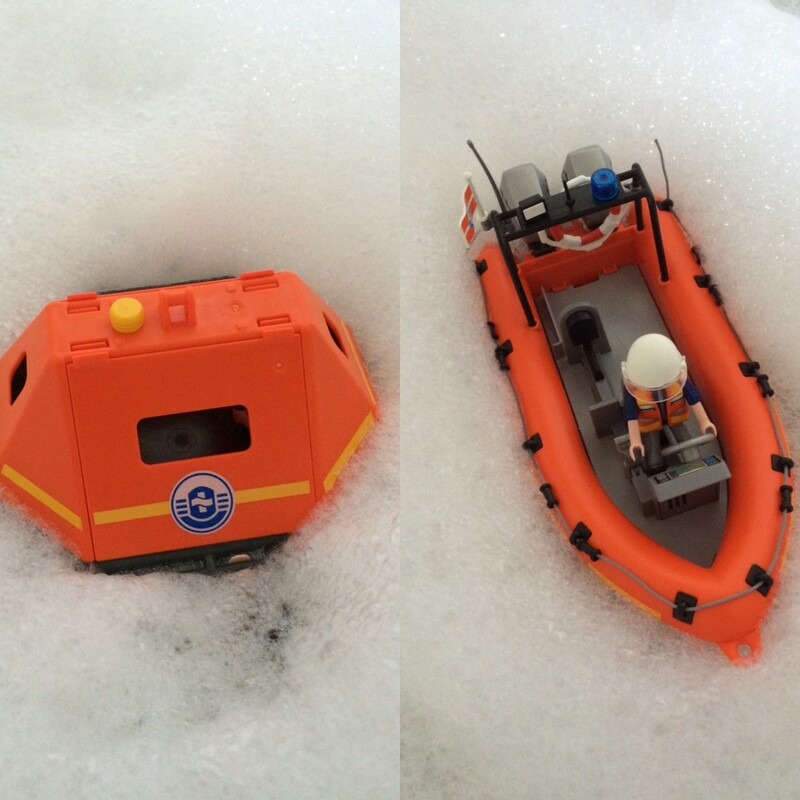 With both the life raft and the life boat suitable for water and floating, we couldn’t not take them into the bath and extend the fun now could we? And yes they do float and the boys has lots of fun with them in the bath. Playmobil is great fun for use in many ways. Both boys have loved Playmobil for years and these sets have only enhanced their enjoyment. They are well made, thought out and bring playtime to a different level. I feel Playmobil are one of those classic toys that have been and will be about for generations to come. The toys never date, rarely break and have staying power with children, it is a toy they go back to again and again. These sets get huge thumbs up from all of us. 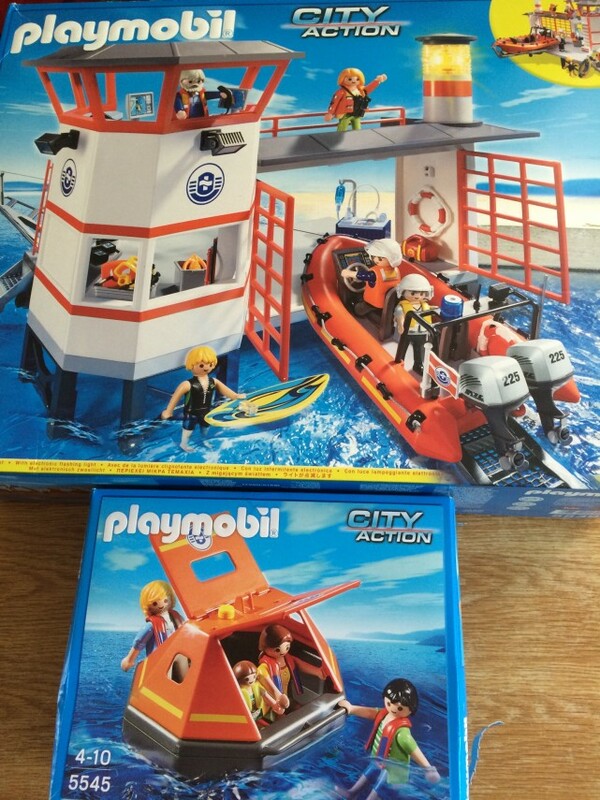 We reviewed the Playmobil City Action Coastguard Station with Lighthouse (5539) RRP £49.99 and Playmobil City Action Lift Raft (5545) RRP £12.99. Check out Playmobil for more information on their range and for some great activities on their website. Disclaimer: We were sent these sets as part of our role as Playmobil Playologists, but all thoughts and opinions are my own. what a great set! The characters and the station look so awesome! Wow there’s so much to do in that set, it would keep Z (and probably my husband) busy for absolutely ages!